Alita: Battle Angel is now in theaters, and it’s tracking to be the #1 movie at the box office this weekend. We had the chance to check the film out in 4DX, and it definitely brings you closer to the world of Iron City. For those of you not in the know, 4DX utilizes motion seats and special effects inside the auditorium to make you feel like you’re part of the action. Since Alita is a sci-fi film filled with cyborgs battling each other, you can expect the intensity of 4DX to turn up a notch. Alita: Battle Angel follows a cyborg teenager named Alita who has no memory of her past. Thanks to cyberphysician Dyson Ido, she is brought back to life and on a journey of self-discovery and love. She soon discovers that she’s a special warrior, and she’ll use her skills to battle cyborgs of all types and compete in the deadly sport of Motorball. The highlight of the 4DX experience is definitely Motorball. It’s a dangerous sport where cybernetic athletes try to grab the ball as they glide along the track using futuristic rollerblades. Since it is a deadly sport, these athletes will chase each other around in order to grab the ball and destroy the competition. The motion seats shake and sway as the chaos ensues. Everything is enhanced thanks to 3D and the dramatic score by Junkie XL. And then there’s the battle sequence between Alita and Grewishka, a giant and deadly cyborg who is hellbent on killing the battle angel. The seats sway as Alita jumps and dodges his attacks, and they rumble when debris is falling on the battleground. Iron City is a character of its own, and there are plenty of wide shots of the city along with the floating city of Zalem. Audiences will actually feel the cool breeze of the air and the seats floating as if we’re sightseeing. It’s breathtaking, to say the least. Now, a word of warning. I do recommend watching Alita: Battle Angel in regular theaters before tackling the 4DX format. It can be distracting when you’re watching a movie for the first time since you’re trying to pay attention to the story and dialogue. I’ve already watched the film before, and with the 4DX format, it made me appreciate the film all over again. You can read my positive review here. Alita: Battle Angel is directed by Robert Rodriguez, produced by James Cameron and Jon Landau, and is based on the manga by Yukito Kishiro. 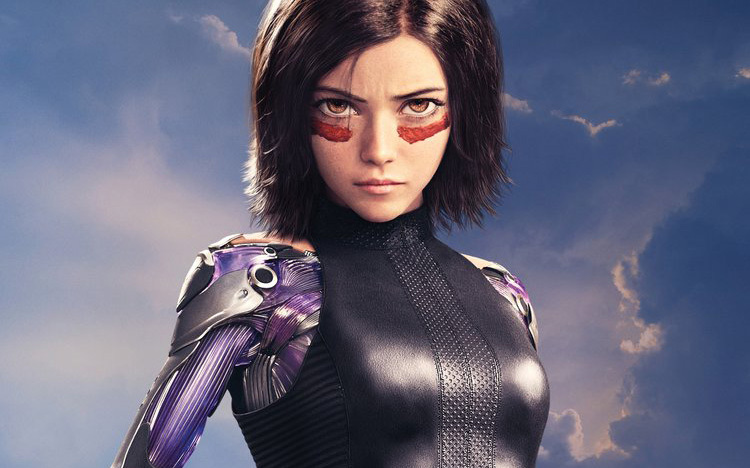 The post You have to experience Alita: Battle Angel’s Motorball scenes in 4DX appeared first on Nerd Reactor.